Enrich your home or office with this unique Turkish indoor rug. Its blue and earthy tones create a striking chromatic contrast that highlights the charming abstract pattern for a truly elegant visual effect. Kozak flatweave rugs are inspired by timeless Anatolian tribal designs. 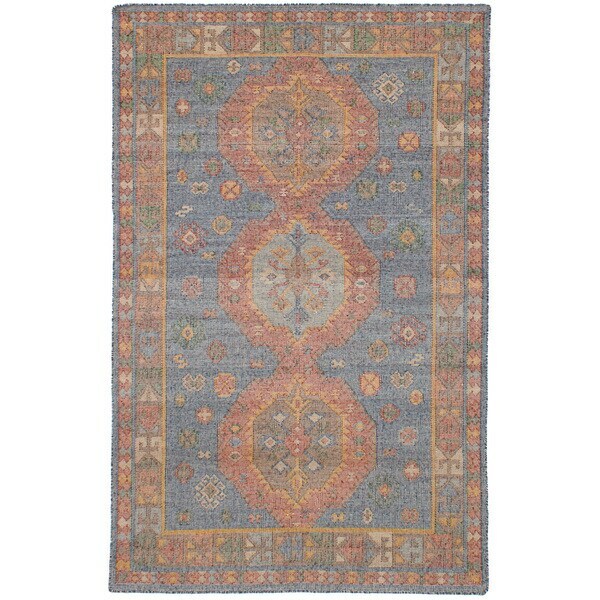 KAS Relic Beige Century Rug - 5'3" x 7'7"